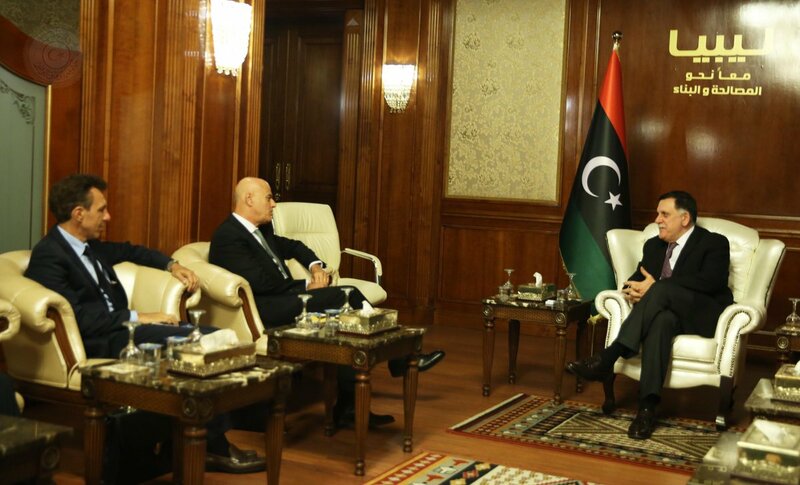 The Head of the Presidential Council in Libya's capital, Tripoli, Fayez Al-Sirraj, met with the Italian ambassador Giuseppe Perrone and a delegation from the Italian oil company Eni, including the CEO Claudio Descalzi. The meeting tackled cooperation talks between Libya and the Italian company to boost economy. Al-Sirraj's media office reported that there had been an agreement in the meeting to carry out new investment projects in development sectors and in the oil sector, especially in the southern and northern regions. Eni also agreed to a proposal by Al-Sirraj to send a technical team to assess the electricity network in Libya so they can cooperate with Libya by enhancing the network, besides building a new power station, according to the media office. Eni is a vital partner of the Libyan National Oil Corporation in the oil industry and a partner of the Mellitah oil and gas company, which is the largest Libyan oil firm that produces 600.000 bpd, among other products.